A Gourmet Food Hall, inspired from the streets of Lower East Side, New York City - with street art illustrations, graffitied walls and fuss-free meals-to-go. 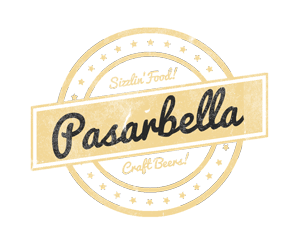 PasarBella presents Expats Weekender Fair November 2016, in partnership with The Expat Fairs. Tokyo Fresh Market is now here at PasarBella! Dine special Seafood Rice Bowl, Try fresh sushi and fruits, and enjoy graceful flowers! The Golden Duck Salted Egg Potato Chips are Here! The delicious salted egg potato chips by the Golden Duck is now available in PasarBella!